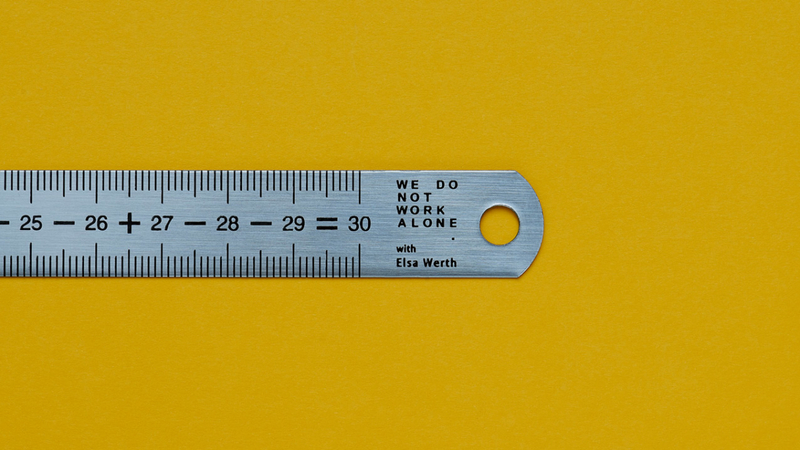 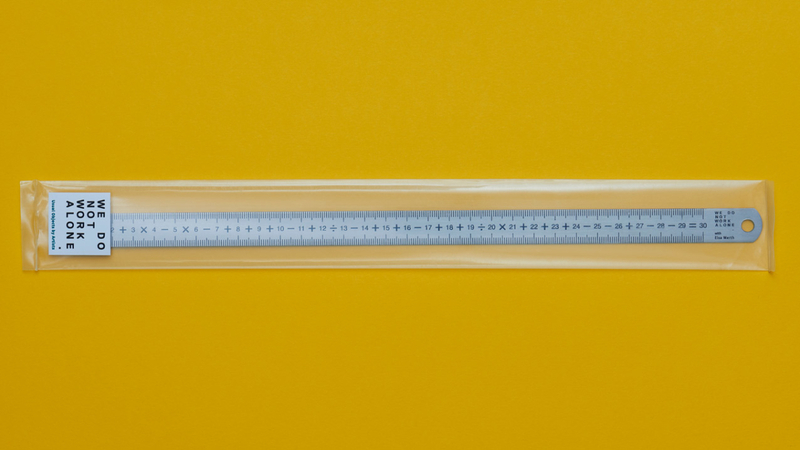 ELSA WERTH’s metal ruler consists of a simple artistic gesture. 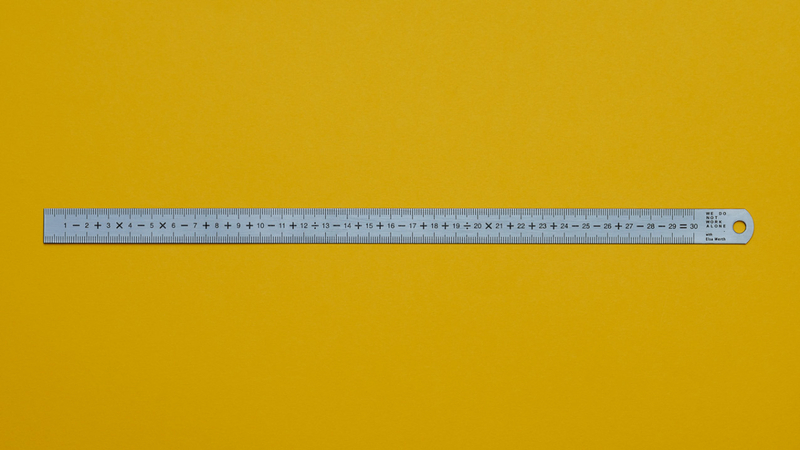 Between each number the artist has inserted a mathematical sign. 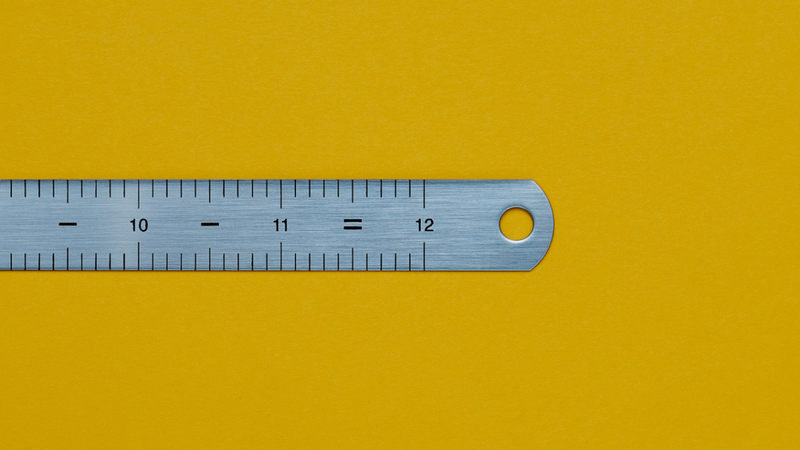 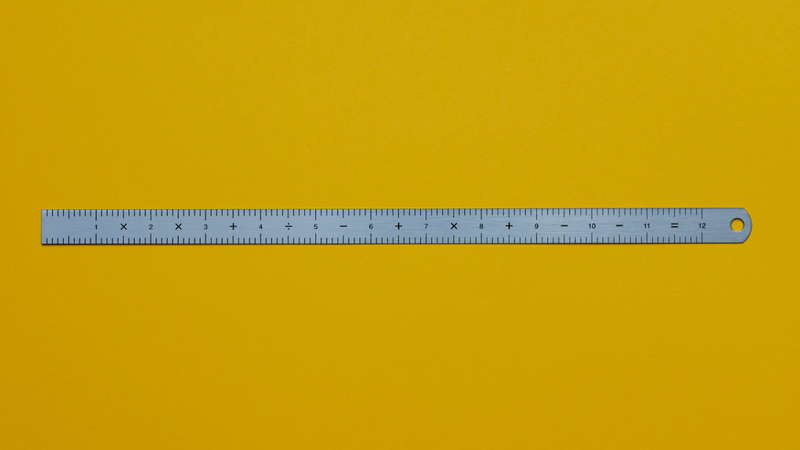 The product of the numbers added, subtracted, multiplied or divided equals the ruler’s actual size: 30 cm on one side and 12 inches on the other.